The furore sparked by Gareth Morgan over New Zealanders’ somewhat careless attitude to the way in which we let our cats stalk our neighbourhoods to pick off native birds is best evidenced in the suburbs surrounding Wellington’s much prized fenced sanctuary Zealandia. In neighbouring Kelburn – where my parents live – whiskered faces can be seen peering from nearly every gateway. And although they’re one of a handful of predator species that live beyond the fence-line, they’re not helping the spread of incredibly rare birds – such as bellbirds, saddlebacks, stitchbirds and kaka – into neighbouring areas. Over the next three years, ratepayers are due to fork out 2.1 million dollars to prop up this thriving conservation project and 450 volunteers will work tirelessly to protect the 35 threatened species living within this fenced wildlife community. Outside the fence- where 13 pest species roam – it’s a different story. Although areas like the botanical gardens, reserves and neighbouring private land have been targeted by the WCC, the Wellington Natural Heritage Trust, Makara Peak Supporters and other community groups and committed individuals, there has been no co-ordinated community involvement to better manage cats, and initiate planting and pest control activities to “fill in the gaps”. 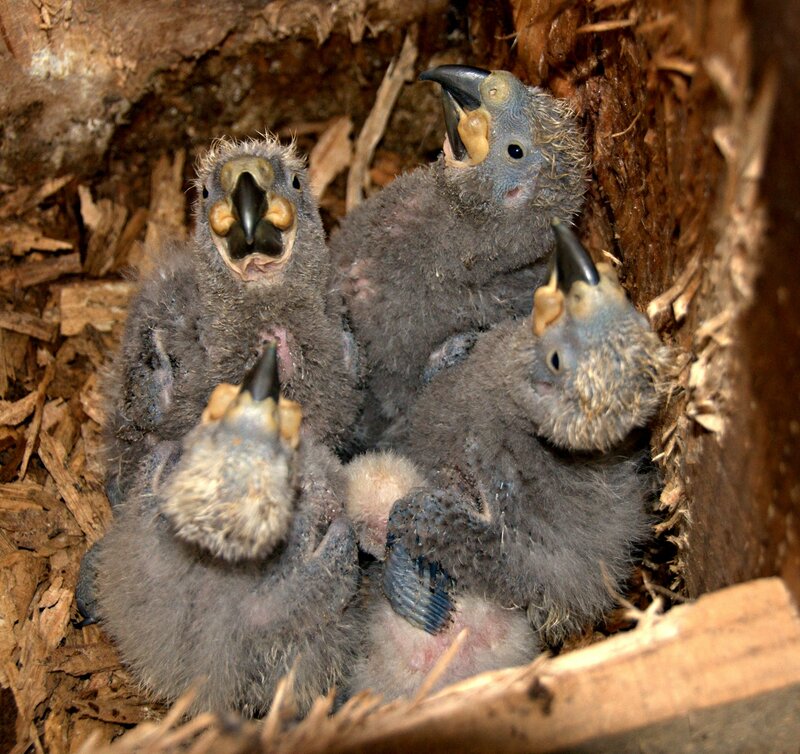 Last year, the first kaka nest was seen outside the fence-line and this may become commonplace for a whole range of birds if a network of community volunteers can be encouraged to undertake a suite of conservation measures in their own backyards. To get this started, Colin Ryder from our Wellington branch & WNHT has been involved in putting together a team of conservation groups, Zealandia and public agencies to set up ‘Halo’ – a proposed community project to create a protected buffer outside the sanctuary. As well as likely supplying the residents of Kelburn, Northland and Karori with traps, plants from our nursery and perhaps subsidised cat bibs and bells, the project aims to give residents the know-how to create “bird-friendly” ecological habitats on their own properties. If the project goes ahead, the message will be spread first through Forest & Bird’s and Zealandia’s networks and later, if need be, throughout the wider community through leaflet drops and public meetings. If anything, Gareth’s public campaign has helped to shift our thinking. If we really want native wildlife in our backyards first we need to know the enemy. And that’s not just cats, but the whole caboodle of mammalian predators that do nightly raids on birds’ nests. By failing to do pest control and planting on the fringes of sanctuaries like Zealandia, Wellingtonians are not receiving the full benefits of the sweat and money that has gone into this incredibly successful project. And, I must say, kaka nesting in your garden would be a very welcome return, wouldn’t it?